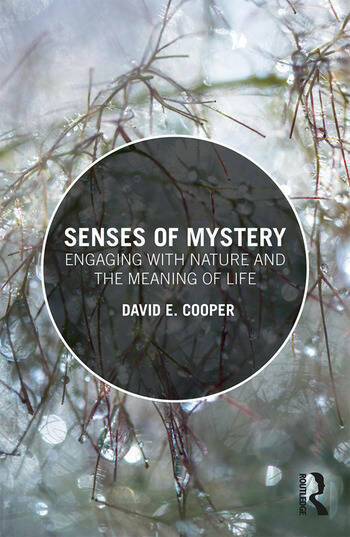 In this beautifully written book, David E. Cooper uses a gentle walk through a tropical garden – the view of the fields and hills beyond it, the sound of birds, voices and flutes, the reflection of light in water, the play of shadows among the trees and the presence of strange animals – as an opportunity to reflect on experiences of nature and the mystery of existence. Covering an extensive range of topics, from Daoism to dogs, from gardening to walking, from Zen to Debussy, Cooper succeeds in conveying some deep and difficult philosophical ideas about the meaning of life in an engaging manner, showing how those ideas bear upon the practical question of how we should relate to our world and live our lives. A thought-provoking and compelling book, Senses of Mystery is a triumph of both storytelling and philosophy. David E. Cooper is Emeritus Professor of Philosophy at Durham University. He has been a Visiting Professor at universities in several countries, including the USA and Sri Lanka. His many books include The Measure of Things: Humanism, Humility and Mystery, A Philosophy of Gardens and Convergence with Nature: A Daoist Perspective.